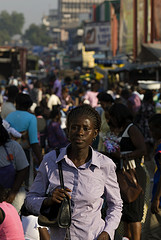 [8 March 2012] -- Over the last 50 years, Africa has undergone rapid urbanisation – far faster than any other continent in the world. Today, it has 17 of the world’s 100 fastest growing cities and if current trends continue, by 2050 Africa will host nearly a quarter of the world‘s urban population - 1.2 billion people. However, this rapid urbanisation is accompanied by alarming poverty levels and other urban development challenges that need to be addressed urgently if the region is to prosper. In this backdrop, the African Development Bank (AfDB) Group is preparing to implement its urban strategy (approved last April) aimed towards transforming African cities and towns into engines of economic growth and social development. One of the key objectives of the strategy is to translate this holistic approach into operations, so that the AfDB will enhance its role in the urban development sector by combining economic growth with social equity. It is also anticipated that the AfDB’s urban strategy will help channel funds towards urban development in a region where rural development tends to be given more priority. Since the 1960s, the AfDB has allocated between 15 to 20% of its total spending to urban development. However, there is a growing recognition within the multilateral agency that if Africa’s cities are to become engines of economic growth, they need more investment. Before implementation begins, there are certain challenges that the AfDB must overcome, such as internal expertise on urban topics. Hence, Bultynck’s attention is currently focused on building capacity within the AfDB. Training sessions will be organized internally as well as outside to increase the AfDB’s expertise on urban issues. Bultynck is confident that existing knowledge and expertise within the organization and other external local organizations can be easily harnessed. Last but not least, building partnerships with external institutions is expected to contribute to the smooth and efficient implementation of AfDB’s new urban development strategy. For more on the AfDB’s urban development strategy, read this document.